Take your scrap book supplies and apply them to a recycled jar instead. 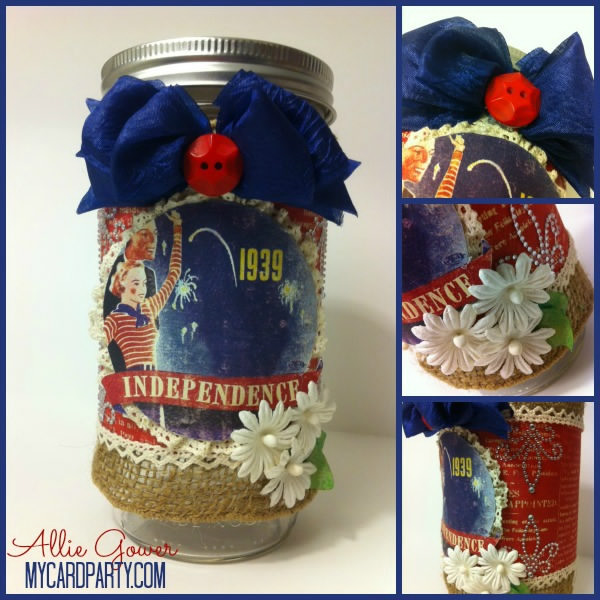 Come see the great ideas from Allie over at My Card Party and you will be inspired. Decorate one for Independence Day or any other holiday/season!